Ford Focus Estate Boot Space, Size, Seats | What Car? The Skoda Octavia Estate may provide slightly more front head room, but even the tallest drivers should still be fine in the Focus Estate. Its leg and shoulder room are up with the very best as well. There are lots of storage spaces dotted around, including a couple of cupholders and trays for your phone in the centre console. The glovebox and front door bins aren’t especially generous, though. 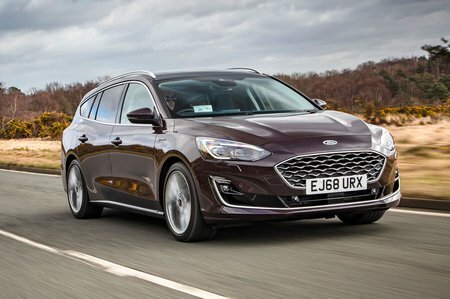 A shortage of rear space was once a Focus Estate weakness, but that's no longer the case. Indeed, the latest version has even more leg room than the voluminous Octavia Estate, so a six-footer can easily fit behind a similar-sized driver. 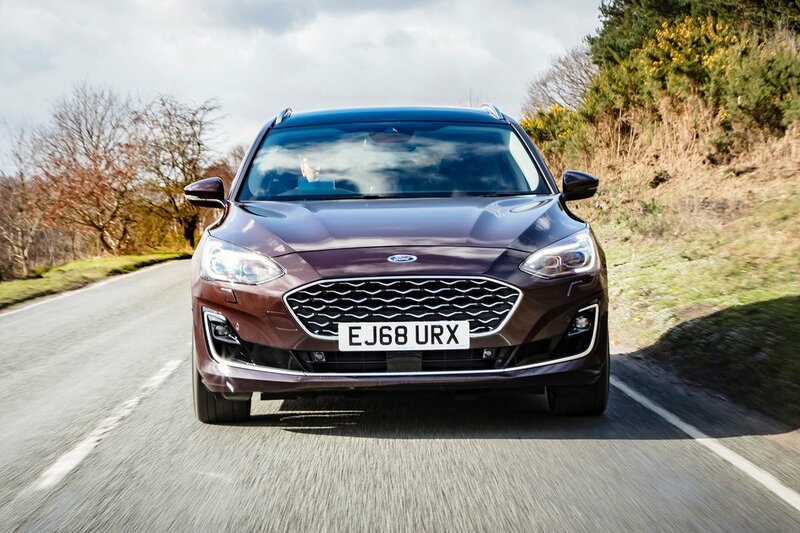 True, the Focus has slightly less rear head room, but it’s more practical for three in the back, thanks to its much lower central tunnel that affords the middle passenger extra foot space. Front passengers only get lumbar and height adjustment once you step up to Titanium trim, and there's no option for an electrically adjustable passenger seat. 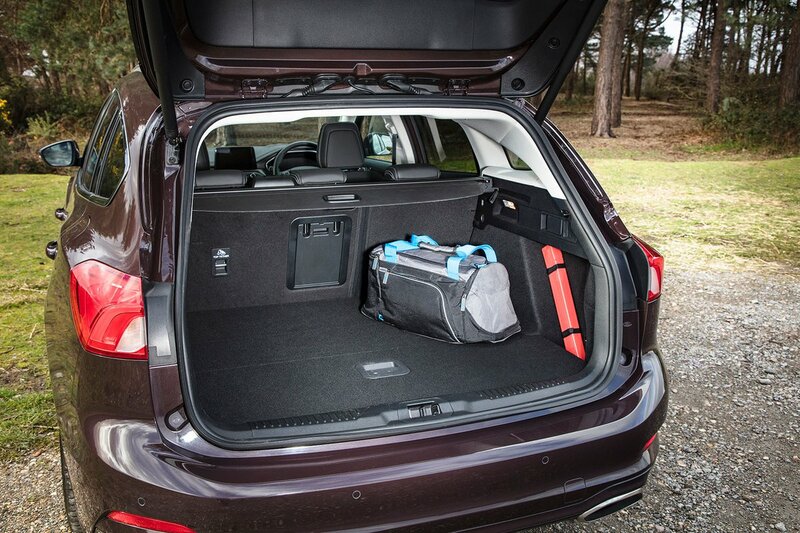 You can fold the rear seats completely flat simply by pulling handles in the boot. However, they’re split 60/40 and not the more versatile 40/20/40 arrangement that many rivals offer. You’ll not find a fold-flat front passenger seat to enable really long loads on the options list, either, but there is a handy space beneath the boot floor for storing the luggage cover when it’s been removed. A 575-litre boot capacity (with a mini spare wheel fitted) means the Focus Estate can compete with the Octavia and Golf estates, even if it’s slightly down on the 625 litres of the Kia Ceed Sportswagon. It'll easily manage a large buggy or a couple of sets of golf clubs, though. What’s more, there’s no load lip to heave luggage over, and the boot itself is usefully square, so you don’t feel like you’re playing Tetris when packing awkwardly shaped items. The boot floor can be folded into a near-vertical position to divide the luggage space in two, preventing bags of shopping from sliding around.